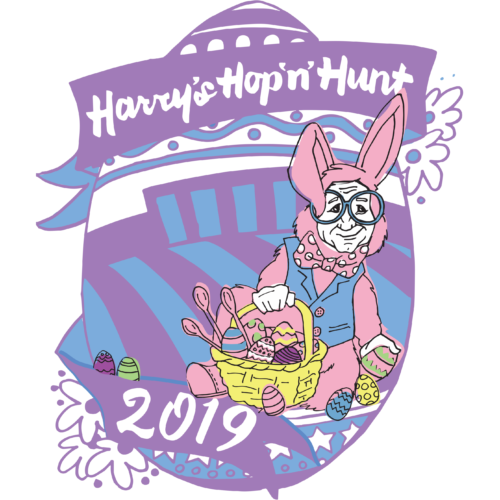 Celebrate Easter with the beloved Harry’s Hop ‘n’ Hunt event, where the White House Egg Roll comes to the Heartland in a free day of family fun. Join us for a fun day featuring the egg roll, several egg hunts for kids ages 12 and under, live music and more–all free for the whole family! Famous faces from around town will join us for Story Time on the Steps, with Kansas City Live’s Kelly Nyberg at 10:05 a.m., Independence Mayor Eileen Weir at 10:55 a.m., and Kansas City Chief Kahlil McKenzie at 11:50 a.m. Plus, an opportunity to meet the Easter Bunny himself! 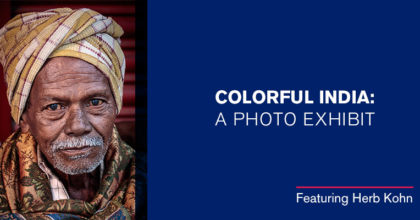 Traveling with a camera in hand, Herb Kohn has made a hobby of photographing his global adventures, and he will display a sampling of these photographs at a special viewing at the Harry S. Truman Library and Museum. Please join us on Thursday, April 25, for a photo exhibit and slideshow featuring Kohn’s photos from a recent trip to South India. He will display 18 large prints of people and lively scenes from his travels and show a slideshow of additional photos. Kohn is an attorney with Bryan Cave Leighton Paisner, LLP, and a former board member of the Truman Library Institute. He loves to travel with his camera and has been to India three times. A reception and photo viewing will begin at 5:30 p.m., and the program will take place at 6:30 p.m. This event is free to attend, but RSVPs are requested. 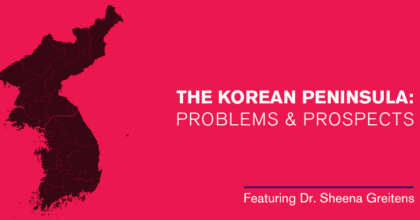 This program is presented in partnership with the University of Missouri’s College of Arts and Science in its Beyond Campus series. The program is open to the public and free to attend, but RSVPs are requested. Note that the reception takes place after the program for this event, unlike the traditional schedule of Truman Library events. 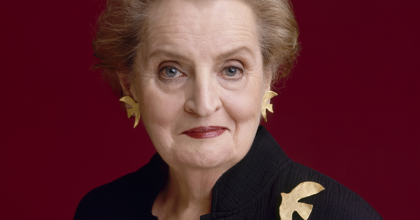 This year’s event will feature former Secretary of State Madeleine K. Albright, who will be honored as the 2019 recipient of the Harry S. Truman Legacy of Leadership Award. Wild About Harry table host and sponsorship packages start at $1,000, and individual event tickets cost $200. This popular event has sold out in recent years, so make plans to purchase your ticket soon. Celebrate Harry S. Truman’s birthday with a special screening of the film Truman. 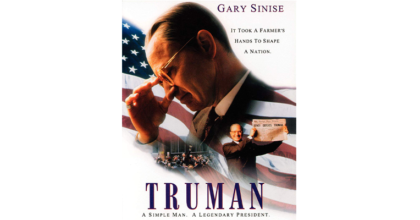 Based on David McCullough’s Pulitzer Prize-winning book, the 1995 film starring Gary Sinise as the 33rd president centers on Truman’s rise from humble beginnings to becoming one of the greatest presidents in our nation’s history. This special screening on the president’s birthday is presented by the Harry S. Truman Library and Museum, the Truman Library Institute and CinemaKC. The screening is open to the public and free to attend, but RSVPs are requested. A VIP reception will take place prior to the screening, featuring wine and hors d’oeuvres. Following the reception, you will have reserved seats for the screening. Tickets to the VIP reception cost $15 and are available here. 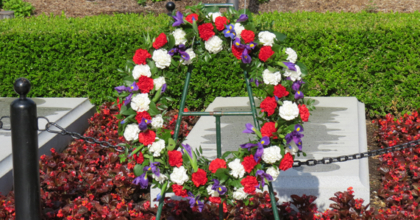 Celebrate Harry S. Truman’s 135th birthday with a Presidential Wreath-Laying Ceremony. In honor of this special day, the President of the United States has designated that a program be held at President Truman’s grave site at the Harry S. Truman Library and Museum each year. A color guard will present the colors and lay a wreath on Truman’s grave in a brief ceremony as we remember the 33rd president on his birthday. RSVPs are not necessary for this public Wreath-Laying Ceremony, and all are invited. Admission to the museum is free until 10 a.m. to allow all to attend the Wreath-Laying Ceremony, then admission is just $1 after 10 a.m. on May 8 in celebration of President Truman’s birthday. Truman Library Institute members are invited to experience this special day as VIPs, with a priority viewing area for the ceremony and a private reception following the event. The ceremony begins at 9 a.m., but members are asked to arrive to the north entrance of the museum between 8:15 and 8:30 a.m. Members must RSVP for this special access. With nearly two decades of experience reporting on the White House, Major Garrett has covered four different presidencies for three news outlets. 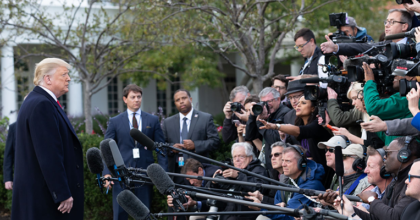 Nonetheless, the Trump presidency has given Garrett and his colleagues in the White House press corps unique challenges as they work to cover an unusual yet consequential presidency. Garrett’s latest book Mr. Trump’s Wild Ride: The Thrills, Chills, Screams, and Occasional Blackouts of An Extraordinary Presidency, tells the firsthand stories he has witnessed in the Trump White House, from Trump’s travel ban executive order to the firing of James Comey. Garrett has been CBS News’ Chief White House Correspondent since 2012. A graduate of the University of Missouri with degrees in journalism and political science, Garrett has served as White House correspondent for 17 years. This program is free to attend, but RSVPs are requested. A free wine reception will precede the program. Given the current echoes of the Cold War, as Putin’s Russia rattles the world order, the tenuous balance of power and uncertain global order of the late 1940s is as relevant as ever. In the wake of World War II, with Britain’s empire collapsing and Stalin on the rise, U.S. officials under new Secretary of State George C. Marshall set out with a plan to reconstruct Western Europe as a bulwark against communist authoritarianism. In the process, they would drive the creation of NATO, the European Union and a Western identity that continues to shape world events. Focusing on the critical years 1947 to 1949, Benn Steil’s latest book The Marshall Plan: Dawn of the Cold War brings to life the seminal episodes marking the collapse of postwar U.S.-Soviet relations—the Prague coup, the Berlin blockade and the division of Germany. In each case, we see and understand Stalin’s determination to crush the Marshall Plan and undermine American power in Europe. Benn Steil is the Director of International Economics and Senior Fellow at the Council on Foreign Relations. His previous book, the prize-winning Battle of Bretton Woods: John Maynard Keynes, Harry Dexter White, and the Making of a New World Order, was called “a triumph of economic and diplomatic history” by The Financial Times, “a superb history” by The Wall Street Journal, and “the gold standard on its subject” by The New York Times. 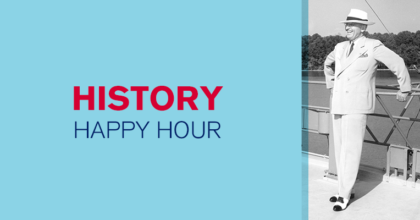 This program is presented as part of the History Happy Hour series and includes drinks from Happy Hour and appetizers. This program is free to Truman Library Institute members or with museum admission. RSVPs are required. On a summer day so stifling that the wedding flowers began to wilt, Harry and Bess Truman were married at Trinity Episcopal Church in Independence on June 28, 1919. The couple enjoyed 53 years of marriage, from Independence to the White House and back again, an American love story for the ages. 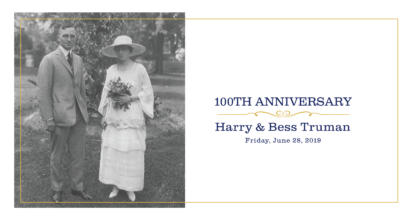 As our hometown president and first lady enter their 100th anniversary year, please join us for a platinum anniversary celebration, complete with a group vow renewal ceremony followed by the wedding reception of the century featuring a concert by the 135th Army band. The Truman Library invites couples of all ages to renew their vows. Or you can join us to observe the ceremony and enjoy the wedding reception with dessert and a champagne toast to our favorite presidential couple. This event is presented as part of a partnership between the Harry S. Truman Library and Museum, the Truman Library Institute, the Harry S. Truman National Historic Site, the City of Independence, the Independence Square Association and the Jackson County Historical Society. The event is free to attend and participate in, but RSVPs are requested. Everyone who is pre-registered will receive a commemorative gift. Narrated by David McCullough, this 45-minute film by Academy Award winner Charles Guggenheim examines Truman's life, from his humble birth in Lamar, Missouri, to the courtship of his wife, Bess Wallace, his service in World War I, his entry into local politics under "Boss" Tom Pendergast, his election to the U.S. Senate, and his rise to the Presidency. Get up close and personal with rarely viewed artifacts from the Truman Collection every Wednesday at 11 a.m., May through September. Set in a recreated West Wing, The WHDC offers stellar corporate team building events and hands-on history sessions for student groups. Don’t miss this! The Truman Library is educational, interesting and fun. My 11-year-old grandchildren and 72-year-old brother all enjoyed it. If you visit Kansas City, take the short drive to Independence and spend a couple of hours in this gem.